Take a hike! That sounds easy enough, even when shouted with a menacing scowl and accompanied by an obscene hand gesture. However, in review of ranger rescue reports across the country, hiking may be more complex than simply "taking" one. All outdoor activities are risky in their nature, however it is possible to mange that risk. Surely, as in all things, there are some aspects beyond your control. However, from the gear you carry to how you walk, there are several controllable factors which mitigate the risk involved in hiking. The following tips offer ten easy ways to prepare for a day hike and stay safe in your next wilderness outing. Outbound Dan has been suffering from an addiction to hiking and other outdoor activities since he was a wee tike. Though there is no cure, he treats the symptoms by embarking on frequent adventures. 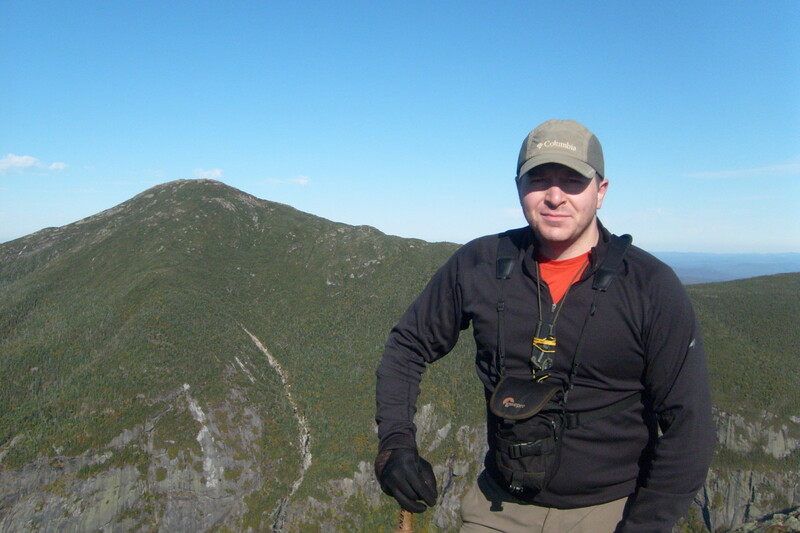 He is an Appalachian Trail thru-hiker, an Adirondack 46R, and a wilderness Search and Rescue Team member. 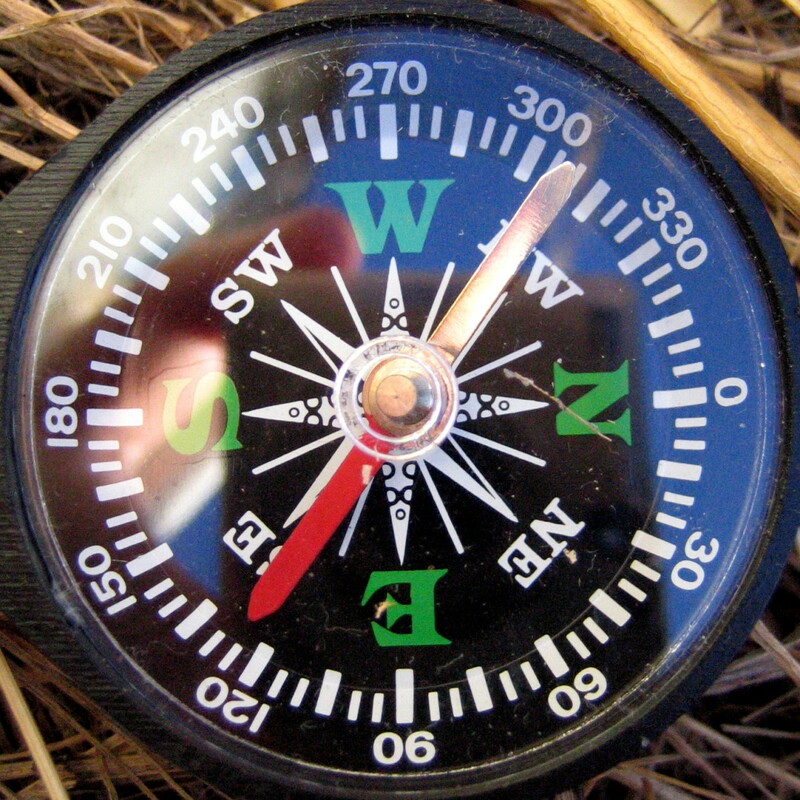 It's hard to prepare for a hike if you don't know where you are going and what to expect on the trail. 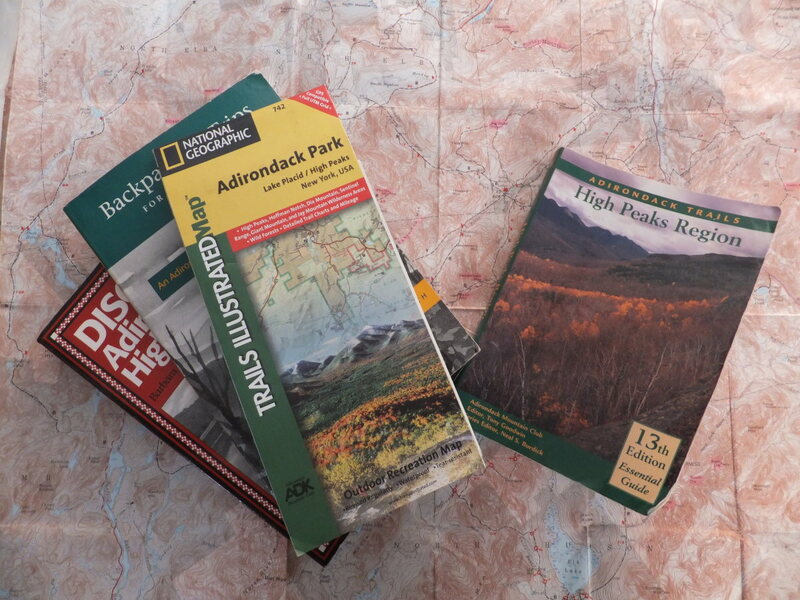 Though there are some fantastic guide books and maps out there, rarely do they contain all the current information you need for a safe hike. One of the best resources is your local hiking club. 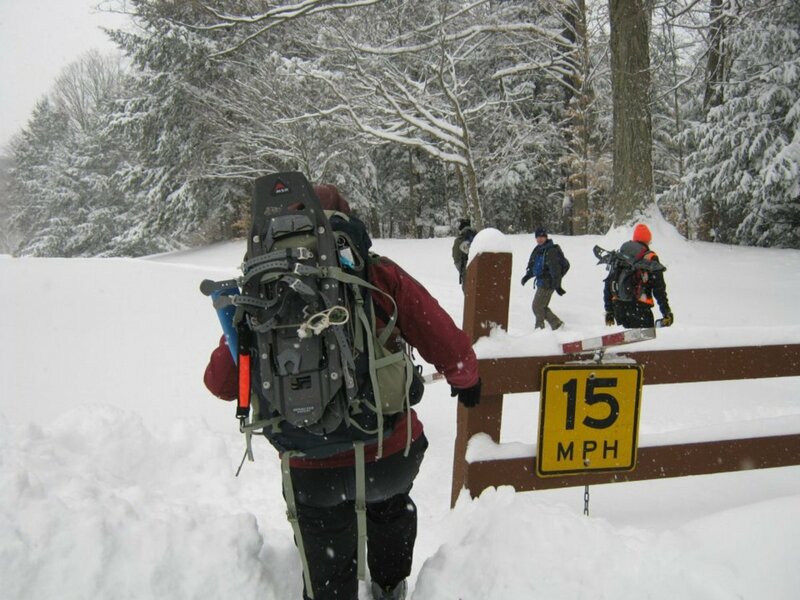 Joining an outdoor club like the Adirondack Mountain Club, Appalachian Mountain Club, or Sierra Club will introduce you to like-minded folks and give you great ideas for local hiking trails. The one downfall to printed hiking guides is that they don't give current conditions to the trails you are hiking on. When the remains of Hurricane Irene passed through the Adirondacks, it washed bridges out, obliterated trails, and created new slides. Even the most current hiking guide, won't prepare you for something like that. Most wilderness and hiking areas have active internet forums in which users post current conditions and potential hazards. Check out Views From the Top for a fantastic North East outdoor internet forum. Trail conditions can change in an instant when bad weather hits. Always check local forecasts and watch the sky for weather hazards. Hiking is a physically demanding activity. Sure it may sound just like walking, but add a pack and scramble over rough terrain and you'll see how exhausted you become. If you are just starting to exercise, consult your doctor and get a check-up to make sure you healthy enough to begin hiking. Yoga is an outstanding activity for developing the strength, agility, and flexibility that you need for hiking. Check out "Yoga Basics For Beginners" for more information on getting started in Yoga. It is important to stretch before and after hiking. 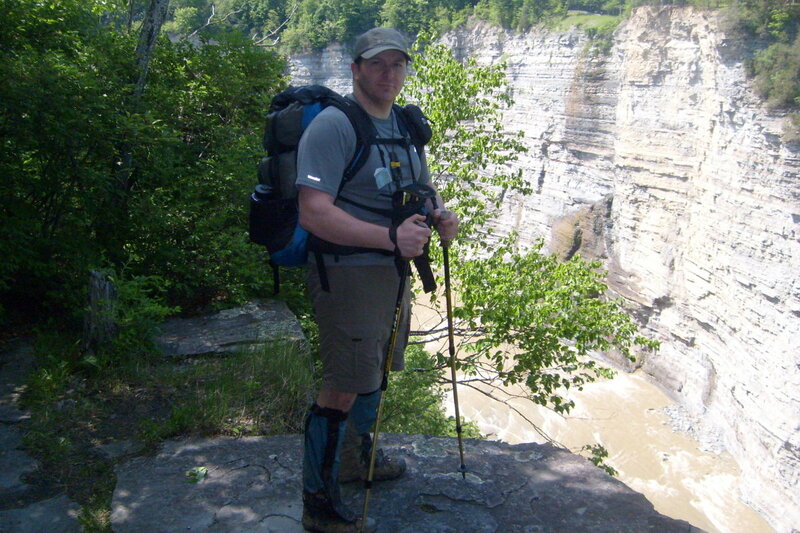 Though, it seems like you may just be using your legs, hiking works your entire body. Be sure to stretch your back, abs, and arms too. The great thing about hiking is that the more you hike the stronger you become. Hiking is after all a great to increase fitness, lose weight, and reduce stress. Before venturing outdoors, prepare a "trip plan" that lets people know where you are going and the basics of your jaunt. Make sure you leave a copy of your trip plan with someone back home. Preferably this person awaits your return and is responsible enough to call for further assistance. While at the trail head or on the trail, be sure to sign in (and out) of registers. This is extremely important if you change your proposed route or plan. If rescue parties are looking for you, their first step is to examine all the sign-in registers. 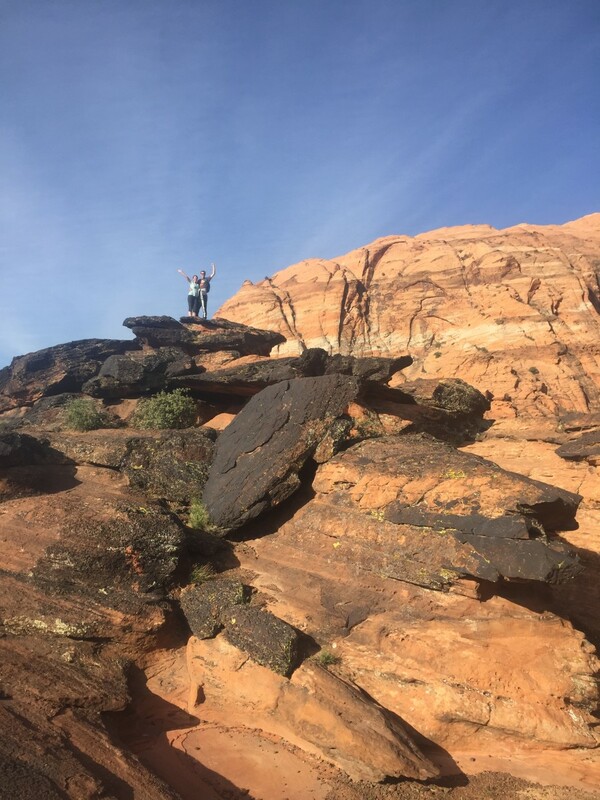 Though solo hiking has many pleasures as described in my article The Art of Solo Backpacking, for safety reasons it is deal to hike with a small group of competent people. 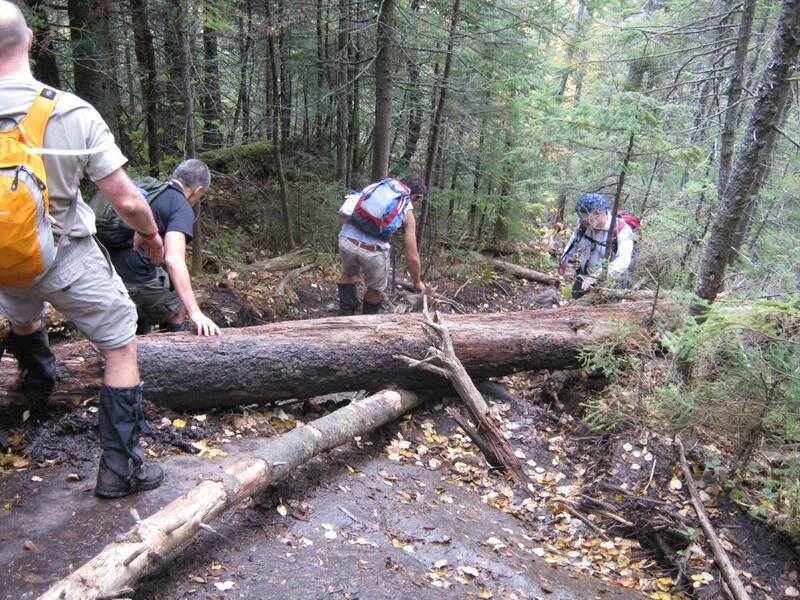 Many outing organizations, the Adirondack Mountain Club for one, recommends hiking in groups of four people. That way in case someone is injured, one stays with the victim, while the other two get help. No one is ever alone that way. Be careful not to hike in too large of a group though, as it is destructive to the environment. Most wilderness areas have hiking party limit of ten. The safety factor also diminishes with large groups. 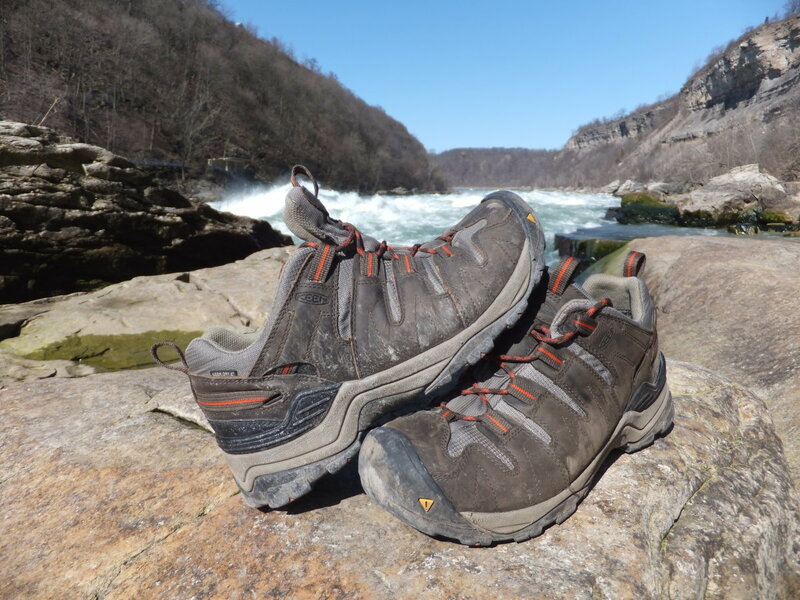 Looking to buy new boots, check out my article on: How to Buy Hiking and Backpacking Boots: Secrets from a Footwear Manager. One of the most technical and advanced pieces of safety gear that many hikers carry is the apparel that they wear. Sure the pioneers of the backpacking revolution of the Seventies wore blue jeans, cotton shirts, and waffle stomper boots; however, today's garments provide better thermal regulation, are more comfortable, and dry faster. Though cotton clothing is a comfortable fabric for bumming around town, in the backcountry cotton kills (and at the very least will make you uncomfortable). The problem with cotton is that it dries very slowly, causes chafing, and loses its thermal properties while wet. Wet clothing causes additional heat loss through the process of conduction, creating a perfect storm for hypothermia (especially in summer when you least expect it). 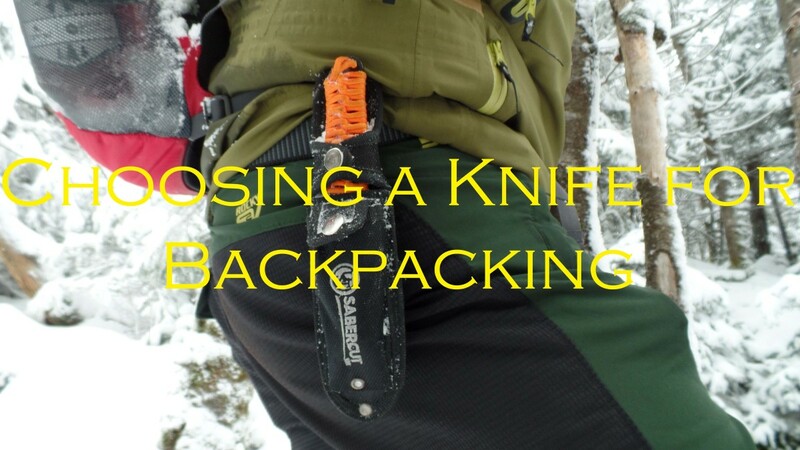 Conversely, modern backpacking clothing is made to wick away swear and expel moisture while keeping you cooler in the summer and warmer in the winter. Protect from the harmful rays of the sun. 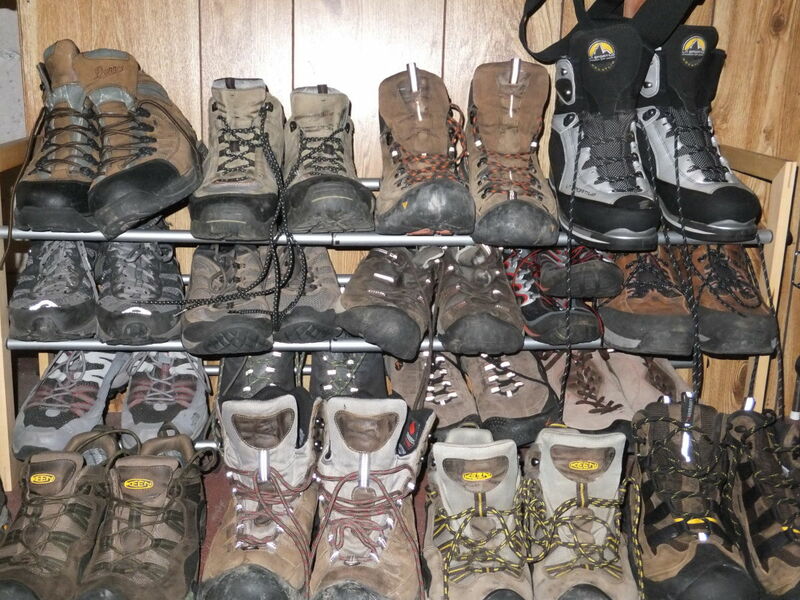 Boots are the platform upon which hiking is built. The right boots immerse you in state of ecstatic exploration unbound by the pressures of the world. The wrong boots will leave you a blistered bloody mess begging for a quick death. Though boot selection, is part wizardry, part research, and part experience - the right boot can make or break your trip. Wear the lightest weight boot you can get away with - avoid wearing mountaineering boots while hiking through your local park. When buying boots, try on multiple brands, sizes, and styles. If you don't love them in the store, you'll hate them on the trail. Pair boots up with a great quality merino wool (personal preference) sock. Merino does a great job of moisture management. Experiment with advanced lacing techniques to avoid pinching and heel slip. 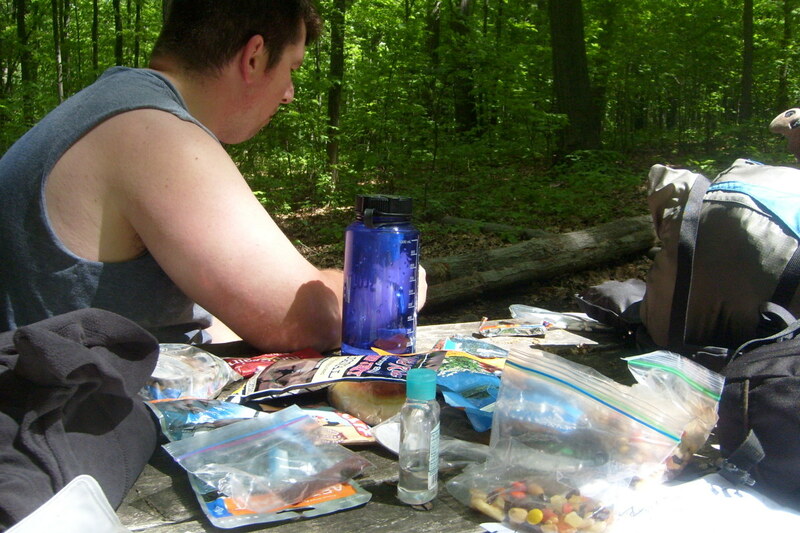 Even on a local day hike, be prepared to stay the night by carrying the 10 Essentials. The general rule is, if you carry it - know how to use it. Carrying a fully stocked first aid kit does you little good, if you aren't sure which side of the bandaid is sticky. 7. Watch What You Step On! Ever hear the term, "easy as falling off a log?" 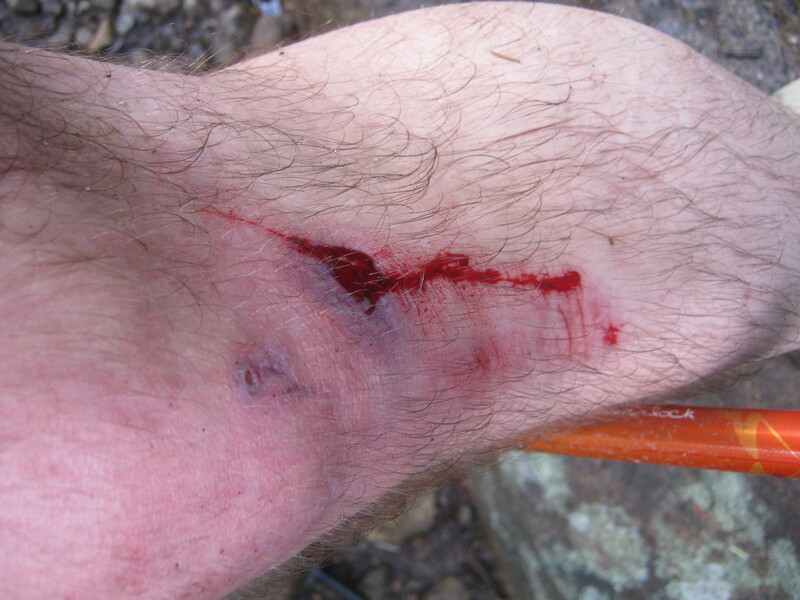 Guess what, that's because logs are slippery, sniveling, deceptive creatures that invite hikers to step on them, then throw them thrashing to the ground. It sounds simple, but - step over logs and rocks and not on them. Granted, when traversing a boulder field this won't be possible, but do the best you can and using a hiking staff or trekking poles to steady yourself. 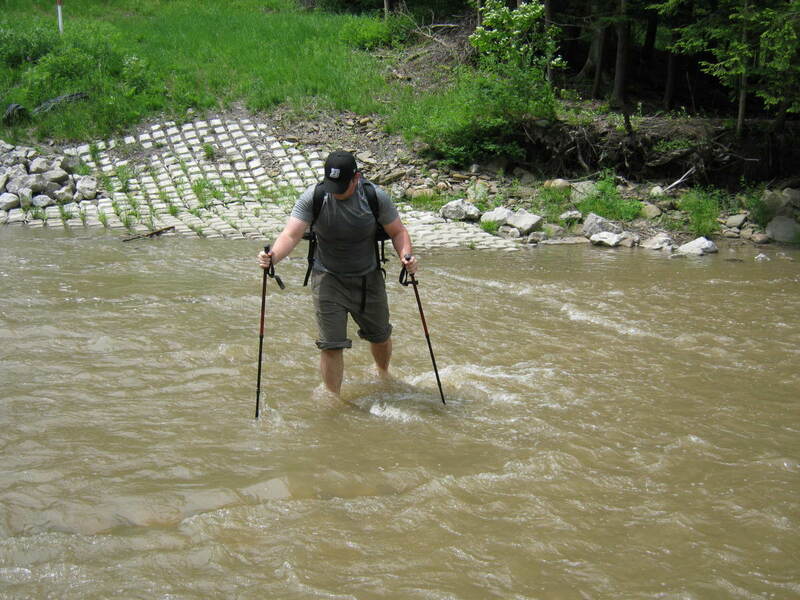 Ever see those those weird hikers with ski poles, what the heck are they doing? They are being safe. As most animals know, four legs are better than two. If you don't feel like shelling out the greenbacks for a nice set of trekking poles, an old pair of ski poles or even a hiking stick will be better than nothing. Avoid the economy poles you see at the big box stores; they are made of inferior materials and use dangerous locking mechanisms. WATCH YOUR PEE! Urine color is a great indicator of hydration. Most people should aim for a color between clear and light yellow. GORP: Make your own Good Ol' Raisins and Peanuts at home from a mixture of raisins, peanuts, banana chips, m&ms and whatever else is quick and easy to enjoy. I like to put a few gummi bears in mine just to change things up. Granola Bars: Perhaps cliché, but granola bars are an easy way to get a few calories. Apples: There is nothing like a crisp apple on a long climb; remember to pack out the core. Jerky: Though denture wearers may want to avoid the shoe-leather variety, a few pieces of salty jerky can be a welcome electrolyte rich snack. Perhaps nothing is as important to a hiker as water; however it is sadly one of the most ignored too. Anyone who has ever given a thirsty wayward hiker water out of their own bottle can attest to the importance of estimating water consumption. So how much water do you need? Though all individuals vary, most hikers need to consume between 1/2 and 1 liter of water for every hour of hiking. That is a lot of water, and nearly impossible to carry if you are on a long hike. Hydrate for a few days before you go. Carry 2 liters of clean water. Have a way to purify water on the trail and refill their bottles or camelbak. Consider all water sources (even pristine mountain streams) contaminated. Use electrolyte replenishing powder like Gatorade. It's getting dark, you're bleeding, and out of water: time to turn around. Honestly, it was probably time to turn around hours before that. One of the most difficult tasks for any hiker to acquire is the ability to judge yourself, your companions, and the path on which you are headed. In our competitive society, where abandoning your path is seen as a failure, turning back when "the summit is right there" is hard to do. Summit Fever, that irresistible drive toward the peak, is characterized by an extreme lack of judgement and has been the demise of many backpackers and hikers. If you die on the trail, they'll probably only name a campsite after you - is that really worth it? One of my favorite outdoor quotes from mountaineer Ed Viesturs is,"Getting to the summit is optional but getting down is mandatory." There will always be another day for a summit bid, but you only have one life to live. Many hiking blogs advocate carrying cell phones as a means of extra security; however, most mobiles offer false security and over-confidence. How many times have Search and Rescue teams been deployed to extricate hikers whose only equipment was an iPhone? Unfortunately it happens all too often. Sure carry a phone, but don't depend on it. Though technology, like satellite messengers, are tools to increase hiker safety, they shouldn't be relied on in absence of common sense. Like all tools, technology is only as effective as the person operating it. 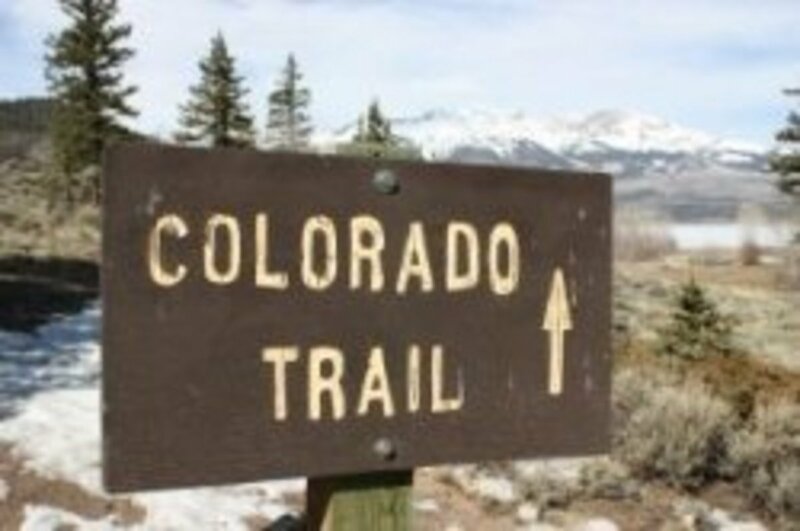 Have a safe hiking trip, see you on the trail! Pine River Trail to Emerald Lake and Moon Lake in the Weminuche Wilderness is beautiful. It winds through forest, meadows, and fields of wildflowers. Great article! I look forward to reading more of your writing as I prepare to hike the Pacific Crest Trail. Thanks for the tips. I think a half-liter to a liter per hour is a little bit of an overestimation on water consumption needs, but regardless it is good to carry as much as you can. 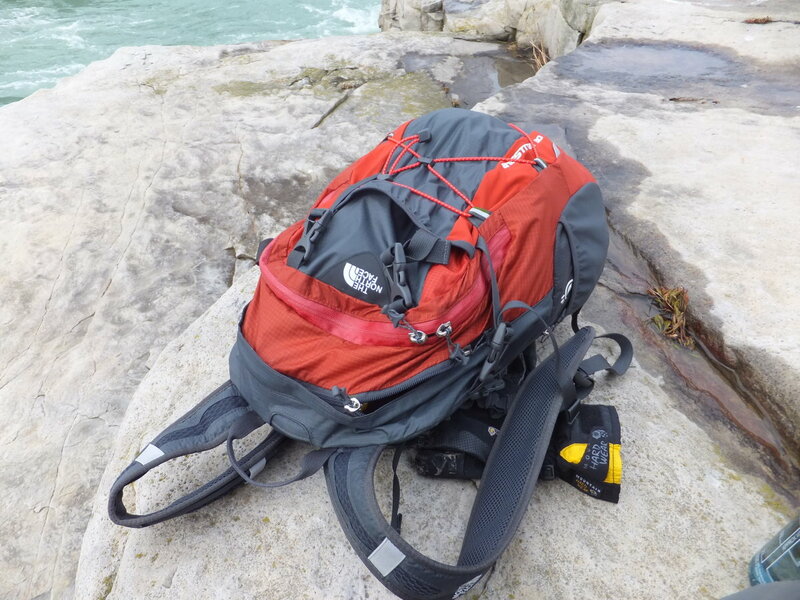 When we hike we bring several liters and usually have just enough. Thanks for grade Tracy, I'll stick it on the fridge! Anyway, I'm glad you enjoyed this Hub and thanks for the votes (and the grade)! I give this hub an A+, okay I know there aren't grades here, not exactly, but you have set the bar high with this one. 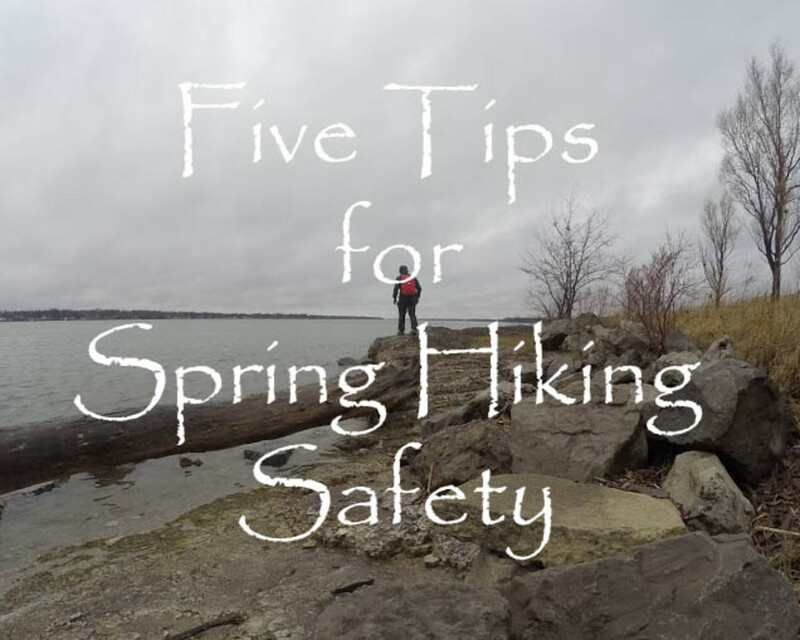 I love to hike but am very aware of the dangers and you have thoughtfully outlined them here along with excellent tips to organize yourself for a hike. I took an orienteering course in college thinking it would be an easy course and while there were no books to read there was a lot to learn and I glad I did. I will bookmark this hub and even have my kids read it, these are things we all should know and the best part is that we can enjoy the great outdoors that much better. ~Voted way up, useful, awesome & interesting! You aren't alone in not bringing water on a hike Michelle, I've given my own water to thirsty hikers many a time. I'm glad this Hub will be of some use to you and thanks for reading! Well there are so many different 10 essential lists out there you probably could have used any random list and still been "correct." I can't wait to check out your Blue Ridge Parkway hiking tips - it is an awesome place to go hiking. Thanks as always for sharing CC! This is an incredibly informative hub! I have recently started going hiking with a friend in the local reservation and I am definitely a victim of not preparing and I never bring water. I will definitely try to be a safer hiker now. "The wrong boots will leave you a blistered bloody mess begging for a quick death. " - my favorite part because it is sooo true! I'm so glad I found this! I am writing a hub about hiking the Blue Ridge Parkway and this awesome, well-done hub is great to link to! But, I try to remember the 10 essentials, but sometimes I admit I essentially forget my brain. That's the most important thing. I mean, once you have that, the rest is easy! Ha! Really, though, everyone who ever steps outside should read this. Voted up and shared. Yeah, the store bought pre-made GORP usually tastes terrible anyway. They always include one ingredient that I dislike. Thanks for stopping by and reading HikeGuy! You can't beat an ice cream shop along a hike route. Thanks for commenting Jeff! Great hiking tips. Excellent points about clothing, boots, water, food and safety. The right preparation can make all the difference. I'm with you on making my own gorp -- cheaper, and customized. Exactly, with 17 deaths at Yosemite alone last year, hiking can be a risky activity. We just have to be careful out there. Very informative and helpful hub. Within the pass few months we've unfortunately had several tragedies on popular hikes. People really need to do all they can to be prepared! The one thing I've learned is that there are many kinds of hikers, yet the only perfect method is the one that works for you. As far as toughness goes, I'm not too tough - I'm just stubborn. Yeah trip plans is where I come up short too sometimes, mainly because of deviations from the course. I'll get somewhere, then realize the river is impassable or the water is too shallow or a landslide covered the trail. So, on my plan I try to list as many alternatives that I can think of - just to limit the search area. Great idea about the list. I have a checklist, that I've used for other programs, I wish there was a way to upload documents to HubPages. I may post it to my blog, then link to it. Thanks for reading jimmar and commenting. Well Done! Solid advice lots of information, I can't find ANYTHING you left out! Neglecting to leave a trip plan is something so many people (myself included) overlook. When I do, I stick to the plan, but if I don't want that much restriction I'll leave info on any deviations I may be considering. Maybe you've done it already, have you considered including a short printable checklist? Everyone likes to make fun of whistles until they have to scream "help" for 8 hours. Unfortunately your tale of that unprepared hiker on Mt. Washington is an all too familiar story. 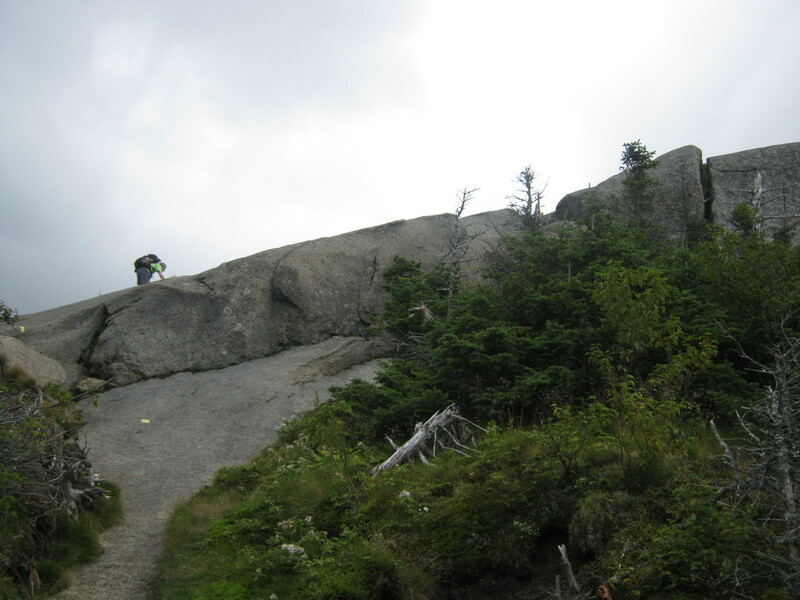 When I last hiked through the Presidentials, people in flip flops took the train up and were attempting to hike back down. Mt Washington, like all mountains, is highly unpredictable. It doesn't take much to blow one of those mylar blankets away. Extra layers are always a must, I've been in ice storms in June and seen snow fly in August in the Adirondacks. My favorite kind of places to stop after a day hike or backpacking trip, are the "hot dog stands" with an outside dining area. Mostly because I'm pretty grimy but they usually have good food too. Of course there is a little grocery store in Keene Valley that makes the best subs and doesn't mind grungy hikers hanging around. 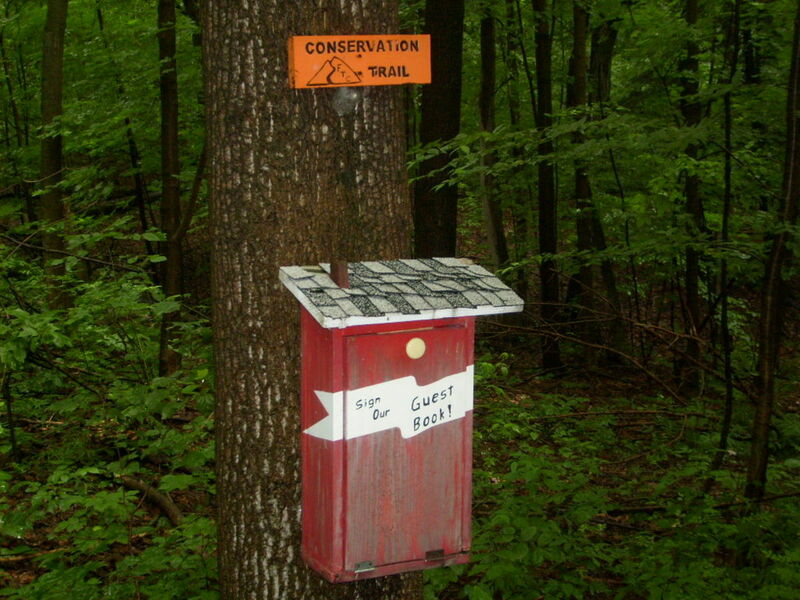 Thanks for reading bankscottage, happy hiking. Another awesome Hub and you are talking my language, day hikes. You have a lot of great tips and suggestions and, to my surprise, I already follow almost all of them (not the Yoga). My kids tease me about the whistle. When I lived in Maine, there was a 60ish year old man, experienced hiker, who decided to hike Mount Washington with only a survival blanket and a cell phone. You know how predictable the weather is on Mt. Washington. A storm came up and the guy had to get under the survival blanket. Guess what. Cell phones don't work under a survival blanket. The guy sticks his head out to make the call and a gust of wind comes along blowing the blanket away. Search and rescue did get the guy, but if he would have been out much longer, he would have died. After he got back he wrote articles and gave talks to the Rotary, etc. about his misadventure (but not to warn people not to do what he did). I guess people like to hear stories from stupid people. I always care extra layers with me on day hikes. I have gotten to the top of Katahdin and found hikers only wearing shorts and t-shirts because it was warm when they started. So, to complete you hub, do you have any suggestions for dinner or a B and B after a day hike or am I on my own with those?